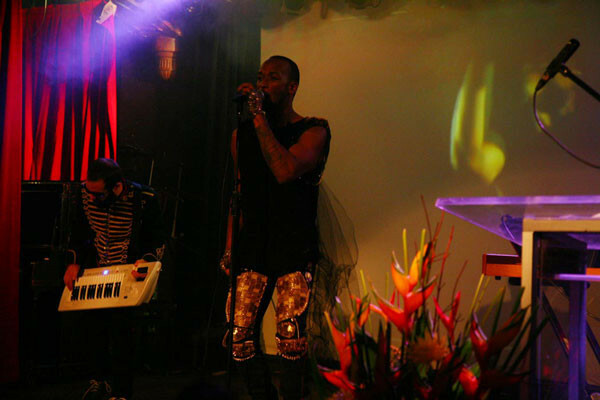 A band performs at last week’s Gala Arc-en-Ciel. The event was to recognize members of the LGBT community who are working to promote equality and awareness of LGBT issues. Photo Elsa Jabre. 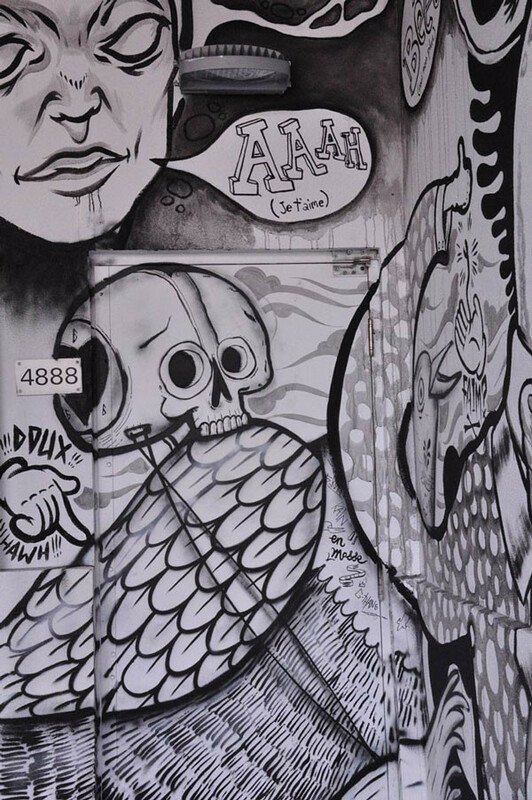 Covering the entire loading dock for Théâtre Espace Go on St. Laurent Blvd., this mural is a beautiful example of legal graffiti in Montreal. Photo Erin Sparks. 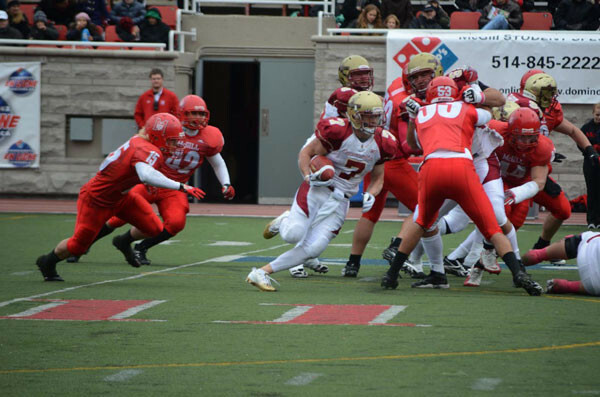 Stinger Michael Donnelly navigates his way through a cluster of players during last Saturday’s football game against McGill. ConU won the game by an impressive 58-30 score. Photo Faiz lmam. Concordia midfielder Jeremy Rodrigues maneuvers the ball during Sunday’s soccer game against McGill. The Stingers lost the game 2-1 despite their efforts. Photo by Amanda Laprade. 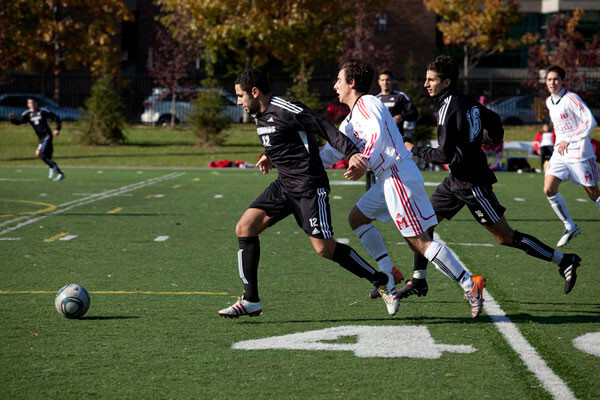 The Stingers’ Shady Shalaby looks to steal the ball from a Redmen player during Sunday’s soccer game. Photo by Amanda Laprade. Each week The Link’s photographers cover tons of events, but only a small fraction of the pictures they take ever make it to print due to space constraints. In fact, sometimes the best photos are the ones left aside—simply because they don’t fit with the story, or describe it visually less well than another shot. With that in mind, we’ve decided to run some of the also-rans online, to give you a taste of the hard work our intrepid and talented photogs put in for the paper. Here are our best photos this week. « Read The Link on iPads… at the Library!